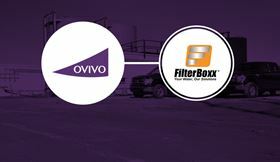 One of the Q3 deals was Ovivo's acquisition of FilterBoxx. Filtration-related M&A deals announced or completed during July, August and September 2018 are listed here with links to the stories on the Filtration+Separation website. Spain’s Fluidra SA and residential pool equipment manufacturer Zodiac Pool Solutions merged. The combined company has kept the Fluidra name and continues to be listed on the Spanish stock exchange. Loudspring exercised part of its options in Eagle Filters to increase ownership from 63.4% to 67.6% through an additional investment. Lydall Inc, through its wholly-owned subsidiary Lydall Performance Materials Inc, acquired the Precision Filtration division of Precision Custom Coatings. Based in Totowa, New Jersey, USA, Precision Filtration produces air filtration media principally serving the commercial and residential HVAC markets with MERV 7 – 11 products. Evoqua Water Technologies Corp completed its acquisition of ProAct Services Corp from private equity firm Hammond, Kennedy, Whitney & Company Inc. With annual revenues of US$54 million, ProAct Services provides on-site treatment services of contaminated water in all 50 US states. Amiad Water Systems Ltd acquired 40% of the issued and outstanding share capital of its Indian subsidiary, Amiad Filtration Systems (India) Private Limited (Amiad India), from its local partner. As a result, Amiad Water Systems now holds 100% of the shares of Amiad India. United Rentals Inc closed its acquisition of BakerCorp International Holdings Inc for a total purchase price of around US$715 million. BakerCorp is a multinational provider of tank, pump, filtration and trench shoring rental solutions for industrial and construction applications. Interpump Group acquired 100% of Ricci Engineering Srl, a start-up company based in Orvieto, Italy, which designs, builds and installs plants for breweries and winemakers. Japanese life sciences company YMC Co Ltd entered into a formal agreement to acquire Lewa-Nikkiso America Inc’s pharmaceutical systems business. Based in Devens, Massachusetts, USA, the business provides advanced production scale chromatography systems for the bioprocessing and the pharmaceutical industry. Valicor Environmental Services expanded its network of wastewater processing facilities with the acquisition of assets associated with Dagger Oil Recovery LLC and Regio Vacuum Service Inc (Dagger). Lydall Inc agreed to acquire engineered sealing solutions company Interface Performance Materials for US$265 million in cash. Hengst Filtration entered into a binding agreement with FläktGroup to acquire German air filtration company Delbag. Mann+Hummel finalised its acquisition of USA-based air filtration company Tri-Dim Filter Corp. The transaction, which was announced in July 2018, has secured regulatory approval and met customary closing conditions. Evoqua Water Technologies Corp acquired IsH20Top Group, a Quebec, Canada-based provider of high-purity water treatment equipment and systems, equipment maintenance services and service deionization. Lindsay Corp completed the sale of its Watertronics and Lakos businesses. Watertronics is a designer and manufacturer of custom pumping solutions for golf, landscape, municipal and agricultural applications, while Lakos is a producer of custom water filtration systems for commercial and residential use. Donaldson Co Inc entered into a binding agreement to acquire an 88% stake in BOFA International Ltd, a UK manufacturer of fume extraction systems, for approximately £79 million. Aquaporin acquired 100% of the share capital of its Aquaporin Asia Pte Ltd subsidiary based in Singapore. Aquaporin Asia Pte Ltd was founded in 2011 with Aquaporin A/S, DHI Water & Environment, Singapore and Nanyang Technological University – NTUitive as shareholders. Ovivo Inc bought FilterBoxx Water & Environmental Corp, the Canadian designer and supplier of modular water and wastewater solutions for industrial customers across the Americas. First quarter 2018 mergers and acquisitions are listed here and second quarter 2018 mergers and acquisitions are listed here. M&A in the filtration and separation sector remained strong in the third quarter.